They're all good, but which is the best of the best? Nowadays, more and more people are ditching traditional cable subscription packages in favor of streaming TV and movies on services like Netflix, Hulu Plus, HBO Now, and so on. It's so ubiquitous that there's a whole line of devices—called streaming devices—that exist solely in order to make it easier to get streaming content on your TV. When it comes to streaming devices, the most popular options are Roku, Apple TV, and Amazon Fire. These little devices plug right into your TV and can be controlled by a remote control, making them the cheapest and most convenient way to get streaming content on your TV (unless you have a smart TV, anyway). If you're thinking about getting a streaming box, you're likely going to end up choosing between Apple TV, Roku, and Amazon Fire—but which one is best for you? Here's what you need to know about prices, specs, and functionality to make the right choice. Or you could skip all that and just check out our exhaustively tested list of the best streaming devices. How much does it cost? : The Apple TV 4K tops out at 199.99 for the 64GB 4K version. The 32GB model costs 179.99 and the Apple TV HD (which only comes in a 32GB configuration) is 149.99. The Siri remote is still a sore point among users (especially the iffy touchpad), but it's a big improvement over older Apple TV remotes and includes voice search and voice entry for passwords and things like that. Apple is also attempting to corral the most popular streaming options with a single "TV" app that you'd only have to sign into once. It's a good idea that needs some work. What we don't like about Apple TV: Apple's interface looks great, but it's not the easiest to navigate. Apple's TV app could theoretically fix this, bringing content from all your favorite apps into one interface, but it doesn't bring in Netflix shows or movies. That said, the only other major drawback here is cost. The most expensive (and best) Roku device is just $99. Though you can usually find the Apple TV 4K for around $150 on sale, that's still a big price jump over a competitor that has almost all the same features. How much does it cost? 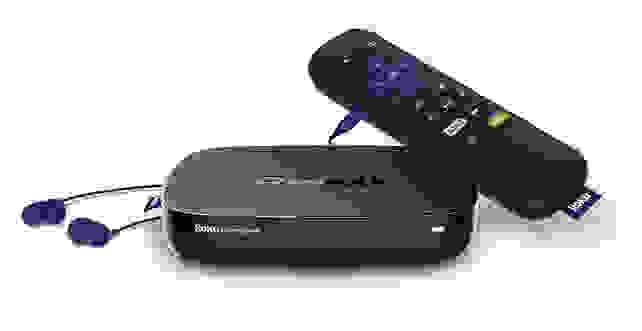 : There are a variety of models available from the Roku Ultra for $99 to the Roku Express for $29.99. There are many models in between with subtle difference, but basically, the Roku Express plays 1080p content with a simple remote, the Premiere takes you up to 4K, for $39.99. The Premiere+ add a voice remote for $49.00. The Streaming Stick for $49.99 gives you a dongle for the back for your TV. The Streaming Stick+ adds 4K for $59.99. And the aforementioned Roku Ultra costs $99.99 and gives you a wired internet connection, and headphone jack in the remote for private TV watching. The lowest level Rokus are still the Express and Express+, which go for $29.99 and $35, respectively. They're both basic 1080p streamers and don't support HDR. The main difference is the Express+ has composite AV cables that can output to older TVs and A/V systems that don't have HDMI ports. 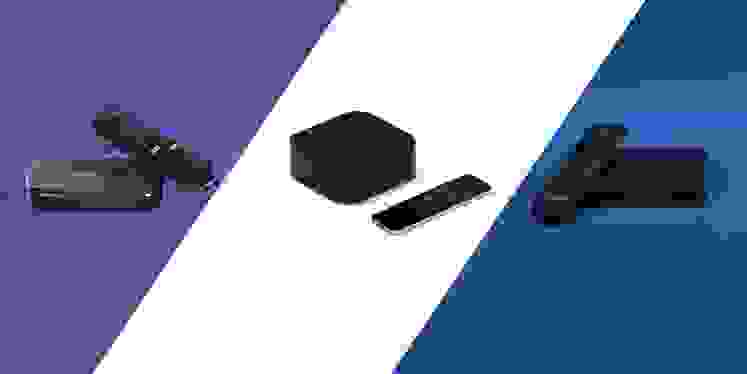 What we don't like about Roku: Roku's interface isn't as slick as the competition these days and some of the newer apps lag slightly behind the competition because of that—though that's getting better. Also while some models include voice search in the remote that can cut across around 100 popular services, it doesn't have the wider feature set of smart assistants like Siri and Alexa. What we like about the Fire TV: All of the Amazon Fire TV devices support searching for content with your voice, and all ship with voice-enabled remotes (the Cube itself has mics built right into it, like the Echo Dot). Alexa can search across tons of popular apps, set reminders, automatically rewind or fast forward what you're watching, and even control your smart home devices. Fire TV is also a very robust streaming platform, with support for all the top apps and services. I've personally had a few issues with certain apps on the Fire TV stick (HBO Now seems to crash periodically and needs to be uninstalled and reinstalled), but overall the experience is seamless. What we don't like about the Fire TV: Amazon does a fantastic job of surfacing content for the user in horizontal bars (similar to how Netflix organizes its content). While it can (and does) pull in popular content from services like Netflix, it really comes into its own with a Prime subscription. Prime is 100% worth it, but if you don't have Prime and don't use Alexa, we'd recommend Roku hands-down. The Fire TV Stick is also not the fastest streaming solution. Though it has lots of features (considering its affordable price), the processing power feels lacking. It's faster than the similarly priced Roku options (the Express and Stick), but still sluggish. I used one for several months and Alexa seemed borderline unresponsive at times. It's the best sub-$50 option, but we strongly recommend jumping up to the $89 Fire TV or Roku Premiere+. All three platforms have their pros and cons. Apple's has the best design and high-end features like Dolby Vision HDR and Dolby Atmos, but it's way more expensive. Roku's the best about giving every service a level playing field and it has the best remote, but it lacks the polish and smart features of the competition. Amazon has great hardware, Alexa, and a lovely interface—but it's at its best only when you have a Prime subscription. For most people, it'll come down to which platform has the hardware and features that match their interests. Overall, we'd recommend the 2018 Roku Ultra for most people. It supports 4K, HDR, has the best remote, has voice search, and it's just $100 (less on sale). 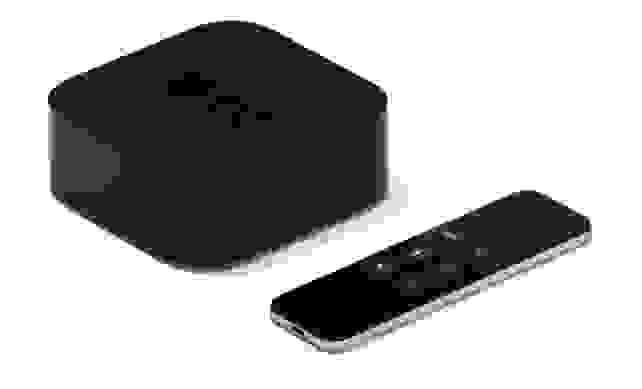 The Apple TV 4K is a very compelling option for people who have higher-end entertainment systems, own a lot of Apple devices, have bought a lot of iTunes movies, or just plain like Apple more. It's expensive, and most people won't benefit from the extra features, but it's a great all-around streaming device.